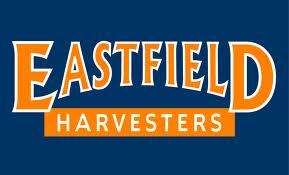 Eastfield College is a comprehensive community college founded by the Dallas County Community College District in 1970. The college anticipates and responds to the educational needs of students and employers by providing four types of programs: academic credit-transfer, college-readiness, technical-occupational, and non-credit continuing education. Eastfield delivers educational services at its main campus in Mesquite, at a community campus in the Pleasant Grove area of Dallas, at selected community locations, and through distance learning. Eastfield College embraces an environment that reflects, respects, and celebrates diversity. The college offers an educational experience that emphasizes critical thinking, decision-making, reflection, and creativity. It is committed to being accessible, adaptable, and accountable to students, the community, and other stakeholders.This mission is carried out in a culture that values integrity, scholarship, success, honesty, person-centeredness, stewardship, innovation, responsibility, fairness, collaboration, diversity, and joy.